In the South of England in Guildford, Surrey, you could order up a new MK2 Jaguar. It could be modified with any number of menu items, whatever you would like, or could afford. However, they didn’t just bolt on handling bits and drop larger engines into lighter bodied cars. 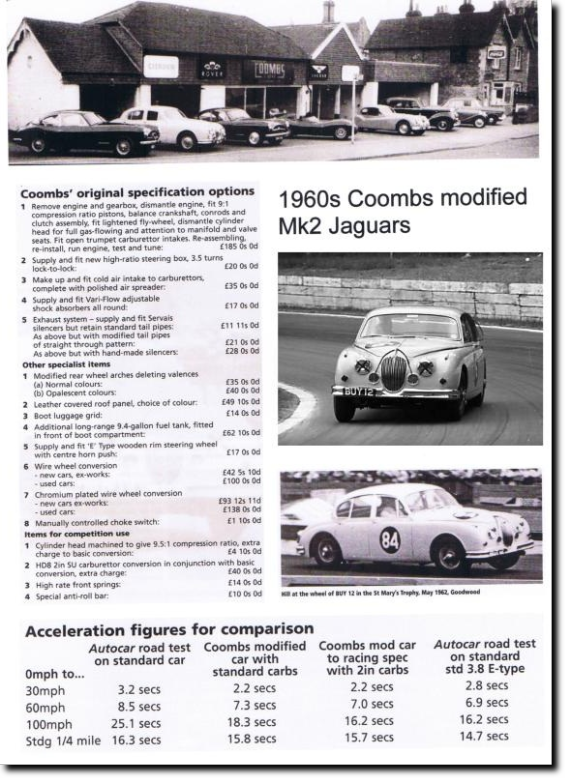 Coombs incorporated race-proven engineering modifications that made the 3.8 litre MK2 not just considerably faster, but smoother, less stressed, and totally reliable. Jaguar saloons led the field in production and touring car races during much of the 60s. Not surprisingly the quickest and most successful private entries came from John Coombs’ himself from his Jaguar dealership in Guilford, Surrey. One option at 185 pounds sterling (in the early 1960s), included 9:1 pistons, balanced crank, con rods, and clutch assembly. A lightened flywheel, gas-flowed head and trumpet carburetor intakes were also fitted. For an extra four pounds sterling the cylinder head would be machined to give 9.5:1 compression. Some other menu items included, hand made exhaust with straight through pipes or performance ‘silencers’, Koni shocks, high ratio steering box, lowered ride height, long-range petrol tank....... (more details specifications to follow shortly). John Coombs had significant race experience and his dealership simply got it right for a fortunate few racing enthusiasts, that included Graham Hill and Roy Salvadori. A fully modified Coombs MKII easily reached 100 mph in company with the E-type, a full nine seconds ahead of the factory supplied version! It was the fastest and best handling saloon car available at that time ! So, what are these cars worth today? 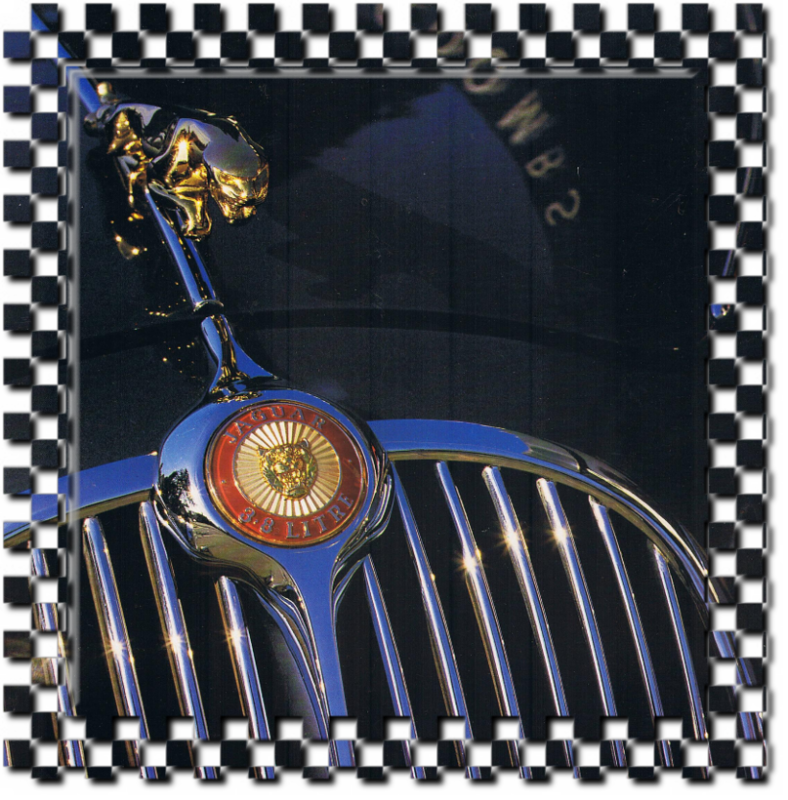 Unfortunately, no records appear to have survived at the dealership and only a few have been authenticated with proper documentation. However, there are ways of telling an authentically modified Coombs from a modern reproduction and this site has helped owners to authenticate their cars.